Stephens was originally known as Antioch, after nearby Antioch Baptist Church. The name was changed to honor Alexander H. Stephens. With an agriculturally based economy, Stephens suffered greatly with the arrival of the boll weevil in the 1920s. 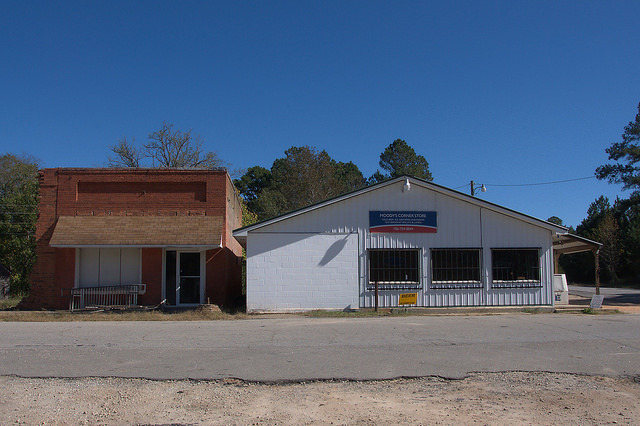 A fire destroyed much of the commercial center of the town in 1925 and as a result, much of its population soon left for better opportunities elsewhere. Moody’s Corner Store appears to be the only remaining business.